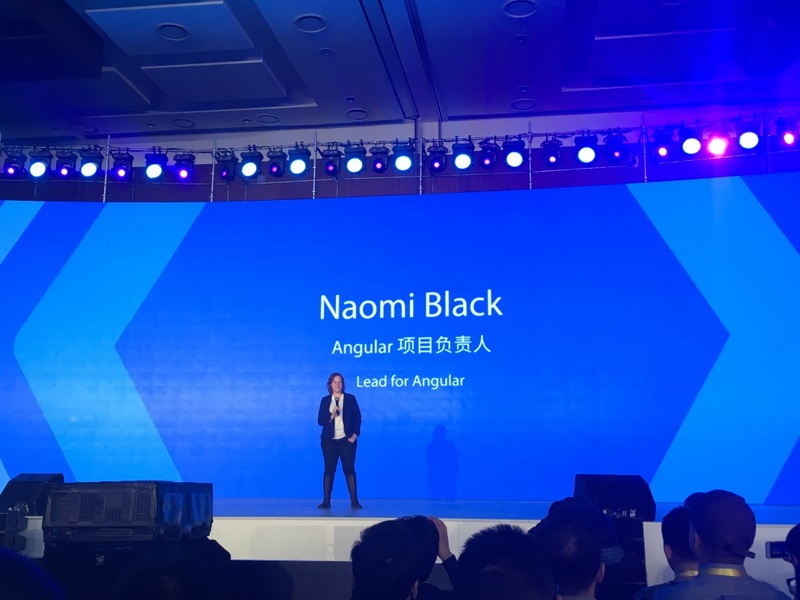 Last week, I took part in the Google Developer Day held in Beijing. The Angular team introduced their new Angular 2. Angular is a development platform for building mobile and desktop web applications. 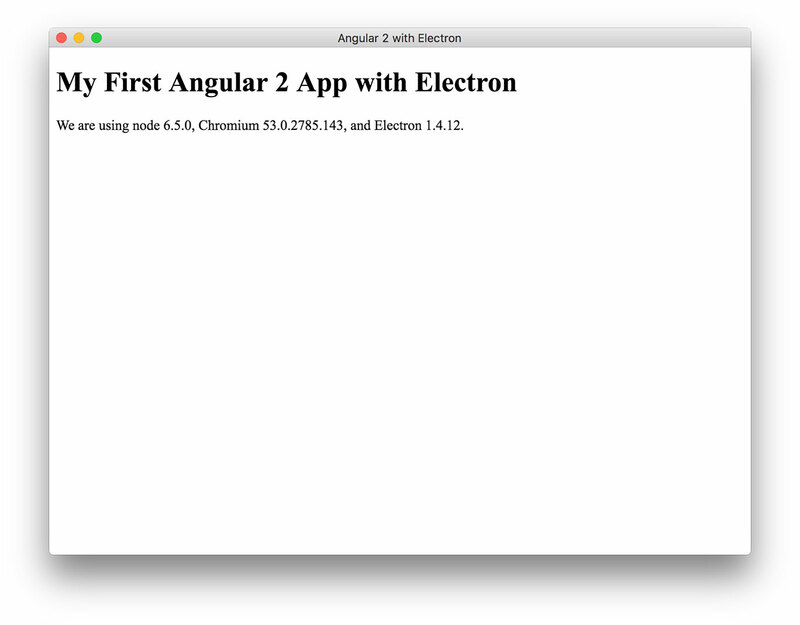 This tutorial will show how to configure and use Angular 2 web components with Electron framework for creating native cross-platform applications with web technologies. You will get a link to finished working example at GitHub at the end of the article. Before start, please make sure that node, npm, typescript, typings are installed. After that, a directory named `typings` and a file named `typings.json` are created. Please note the exclude option. This setting greatly improves performance when using Atom or IntelliJ for development. The trick we want to perform is to create a TypeScript class that does essentially the same thing but using TypeScript syntax. // Global reference to the main window, so the garbage collector doesn't close it. // Opens the main window, with a native menu bar. // Call 'createWindow()' on startup. // with Cmd + Q. This step does not differ from the Step 2: Our first Angular component chapter of the 5 min quickstart. Please check original article for more details on implementation. 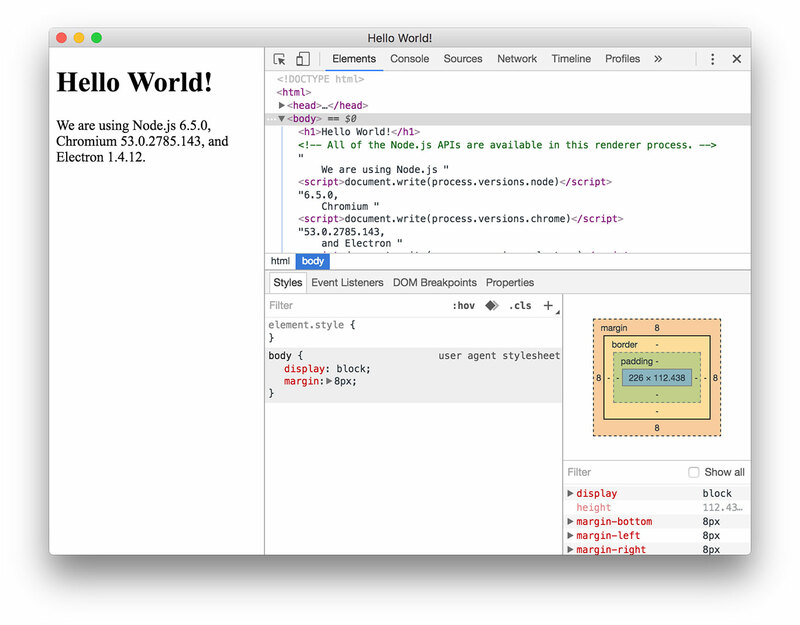 The start command compiles your TypeScript code and launches Electron instance with your application getting loaded automatically. Also note that start command runs TypeScript compiler in watch mode. Every time you change your code it should be enough just reloading Electron via "View ⟶ Reload" or with Cmd-R (Ctrl-R on Windows). Question: How to deal with the error message: "Duplicate identifier 'PropertyKey'"? remove "@types/core-js": "0.9.34", from devDependencies in package.json. The source code for this tutorial is open sourced on GitHub.